Ask For Luigi is an Italian restaurant located in the Railtown area of Vancouver. They specialize in fresh hand made pasta and they encourage diners to share the dishes family-style. After hearing a lot of hype about this place, Foodology and I came here one evening for dinner. The restaurant technically opens at 5:30 and we arrived exactly at this time. We were surprised to see half of the restaurant already full of people, so if you don’t want to wait for a table, you must arrive early. The bocconcini fritti ($9) are little deep fried mozzarella balls covered in a chimichurri sauce. If you have ever had deep fried cheese sticks, these are like the gourmet version of them. I loved this appetizer although it is extremely rich. The breading on the outside was really light and crisp and the cheese on the inside was super stretchy, melty, and indulgent. 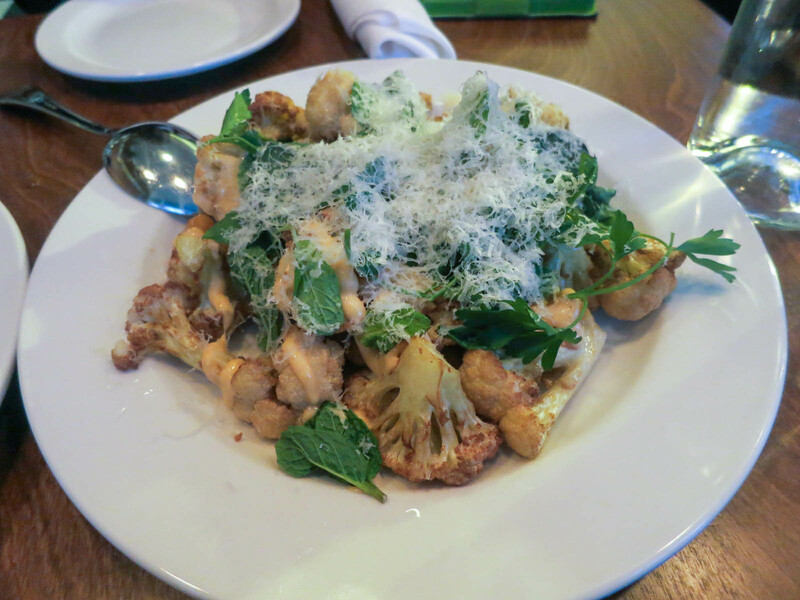 The fried cauliflower & aioli ($10) was topped with tons of grated cheese, mint, and parsley. The cauliflower had a nice crispness to it and despite being fried, it wasn’t too heavy or overly greasy. This is a good appetizer for sharing because the portion was pretty big. 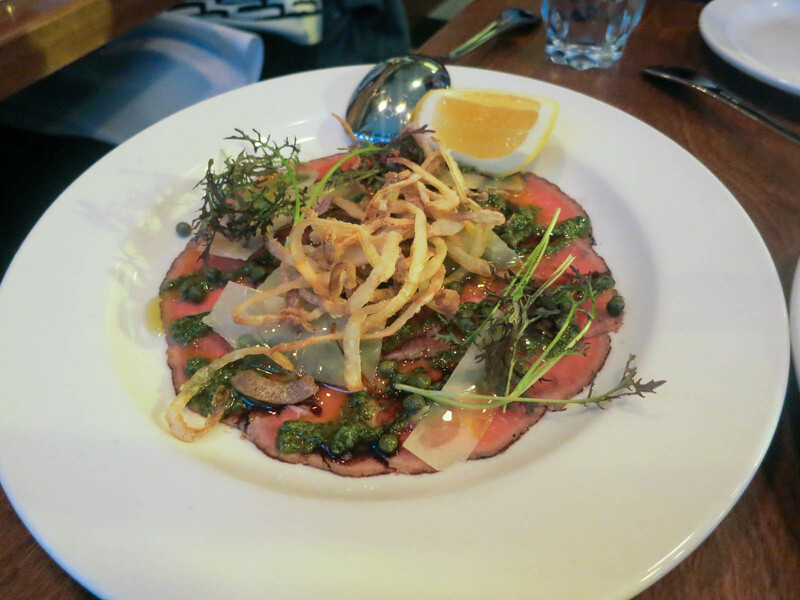 The beef carpaccio appetizer ($14) is topped with shreds of parmesan cheese, crispy onions, capers, and a chimichurri sauce. The meat was really tender and good, but it was the toppings that made this dish stand out. The strong cheese flavour combined with the bold herbaceous flavour of the chimichurri sauce tasted amazing. 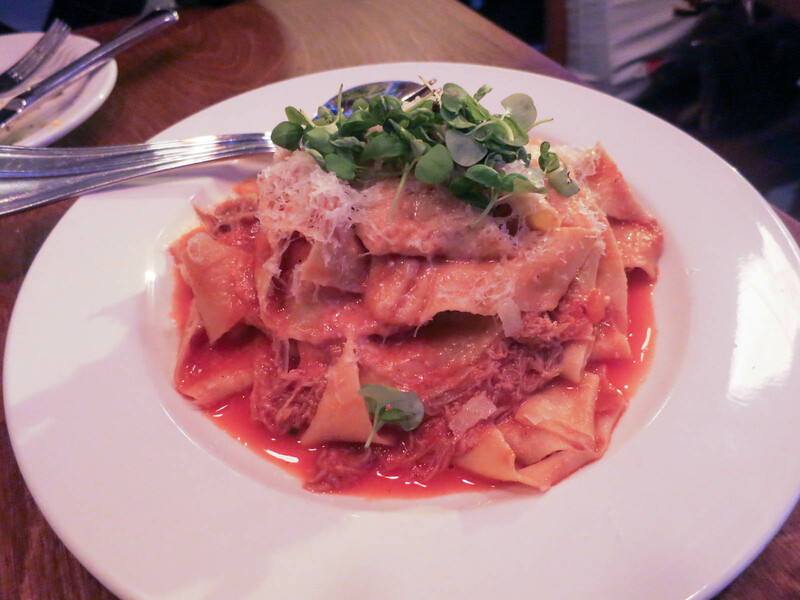 The pappardelle & duck ragu ($19) was probably my favourite pasta I have eaten to date. The pappardelle noodles were nice and thick and had a perfect slightly chewy texture. The duck ragu was incredibly tender and had a delicate pulled texture that disintegrated on your tongue. The tomato sauce it was in was quite thin and mild. It had a slightly sweet tomato flavour to it and it really allowed the meaty duck flavour to dominate the dish. I would highly recommend trying this pasta because it is so unique. I was really impressed with the food from Ask for Luigi and it was one of the better meals I have eaten in a while. The food here is so well prepared and flavourful and the ambiance is cozy and comfortable. I would highly recommend checking out Ask for Luigi if you like Italian food. Yes, for amazing Italian food.